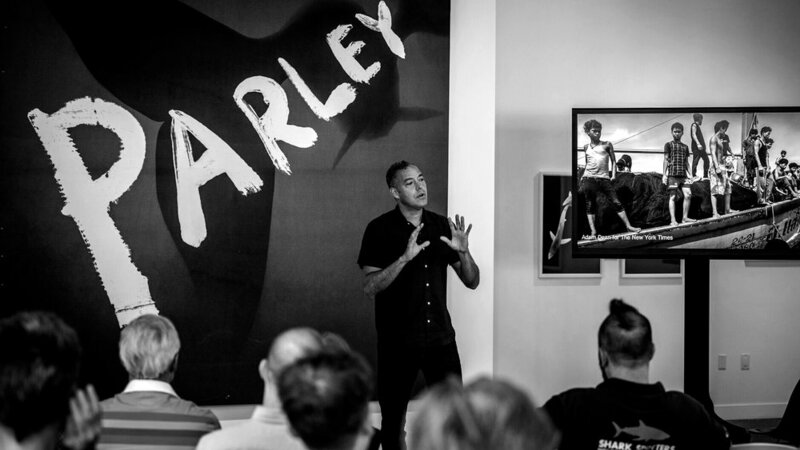 Alongside the launch of the Parley Deep Space Agency — an initiative to boost the ways we explore, understand and protect the oceans — a series of Parley Talks were at Taschen Gallery in Los Angeles, during Michael Muller's exhibition: SHARKS. The event was the culmination of a multi-day private workshop organized by Parley and Dazed Media, hosted by NASA Jet Propulsion Laboratory and Benedikt and Lauren Taschen at their Chemosphere House in the Hollywood Hills. Conversation focused on the consequences of lawlessness on the high seas and necessity of stronger conservation measures to protect the ocean's apex predator, as well as its most endangered marine mammal: the vaquita porpoise. 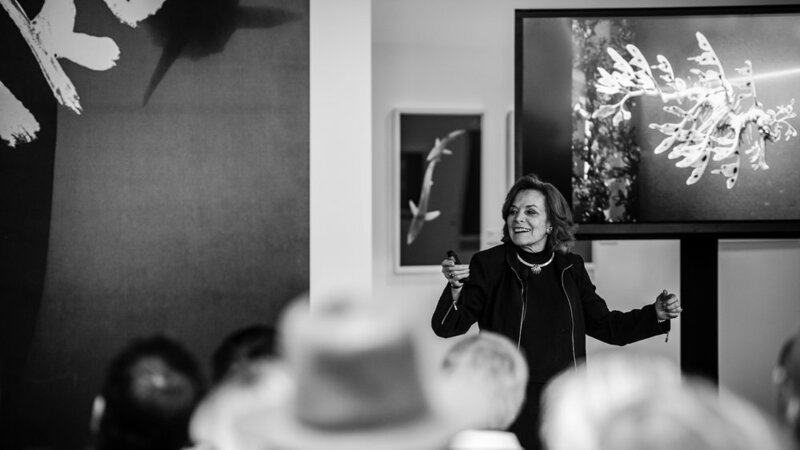 Surrounded by Muller's underwater cage-free shark photography, speakers examined the impacts — on both humans and marine life — of humanity's warped perception and treatment of the marine ecosystem upon which it depends. Life in the oceans allows for life on land. We need sea life species alive and healthy in the marine environment, and yet an estimated 500 million sharks are killed by humans each year. In another tragedy, the vaquita is pushed to the brink of extinction by illegal fishing activity targeting the totoaba fish in the Gulf of California. Amending deep-seated fears and misconceptions of 'Deep Space' and the alien life it harbors is both a survival imperative and an opportunity to create a better future. Muller's SHARKS series is a humbling reminder to confront ignorance and replace fear with respect. The time to protect our life-giving ecosystem and its regulating species is now.